In North America, clean running water is something we take for granted. In developing countries like Guyana, shortages of potable water is a reality. Water is a necessity of life and it’s important to maintain an efficient, reliable and sustainable source of water to uphold our quality of living. In Guyana, fresh running water is only accessible during certain hours of the day, forcing residents to store water in tanks on their roofs. Because the water is not delivered on a continuous basis and is sometimes brown in colour, health issues are a concern. Without an adequate clean water source, people resort to collecting health hazardous stormwater. 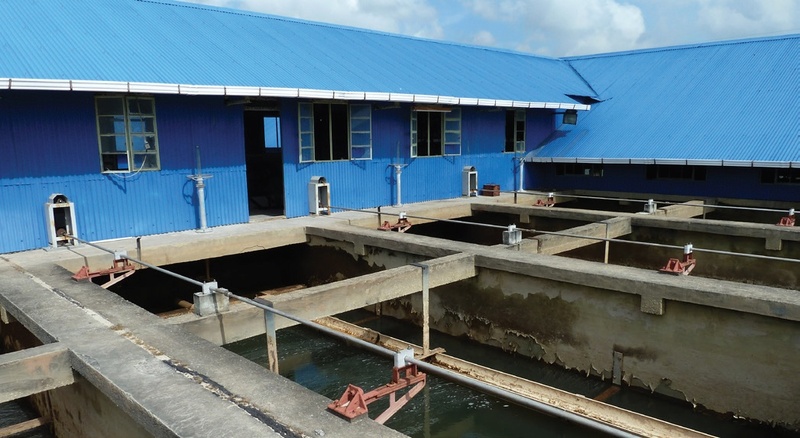 Guyana Water Inc. (GWI) knew they were falling behind on their mandate to deliver adequate water volumes at higher level of quality. To reach their goal of pulling the population out of poverty they needed to be able to deliver clean running water to residents, 24 hours a day. Morrison Hershfield provided innovative designs and recommendations to improve water treatment and distribution for the people to receive ample volumes of safe clean water. 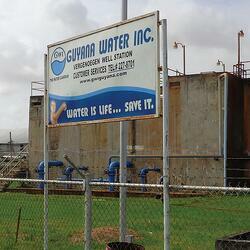 Although Guyana’s water and wastewater services have improved over the past decade, there is much work to do. GWI recognized the need to upgrade its infrastructure, and with the help of the Inter-American Development Bank, they retained Morrison Hershfield and team to design water and sanitation infrastructure improvements at critical locations. The issues stemmed from aging infrastructure and poor asset management. Problems such as leaky pipes resulted in lost assets and much needed revenue to maintain the facilities. In the capital city of Georgetown, there are three existing water treatment plants. The main plant, Shelterbelt, built in 1950, is the main water supplier for the the city. Most of the equipment is working with fixes and patches that are over six decades old. The other two plants are functional, but needed some upgrades to the front end of the treatment process to improve efficiency and recommendations to increase capacity. In addition to the existing plants, three brand new plants were designed for the outlying areas of Georgetown. GWI needed Morrison Hershfield to provide a plan to upgrade the plants, improve the treatment process and increase efficiency. Our team also completed a review of the Operations and Maintenance (O&M) of the existing plants and testing procedures for the water quality coming from the plants. We made recommendations for O&M improvements and purchaseing of new testing equipment. The distribution system in Georgetown built between the 1900’s and 1950’s, used building materials that were available during the time of construction. In older areas of the city, systems were constructed of cast iron or ductile iron pipe. As a result, large areas of the pipe system have corroded and partially plugged, reducing the capacity and pressure available to residents. 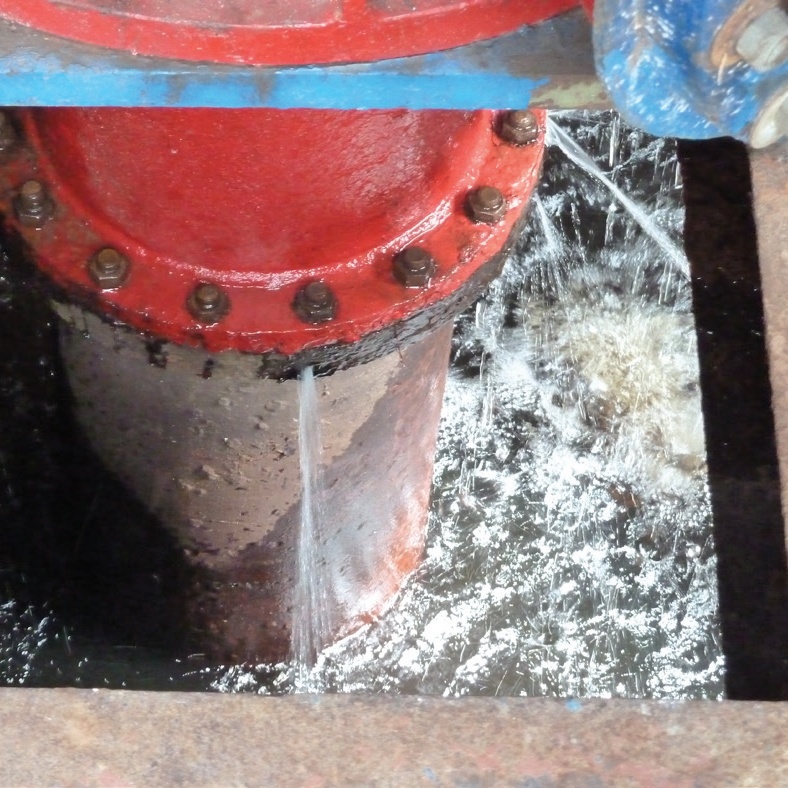 The team made recommendations on the condition assessment and prepared a plan to replace the deteriorated pipes. Water modeling on the distribution system led to recommendations for additional looping mains to increase the efficiency of delivery. The team enlisted the help of a non-revenue water specialist, who worked on areas experiencing the worst leaks, to come up with solutions to stop the public from taking water and disabling the meter from their homes. Based on his recommendations, GWI can recuperate some of their lost assets and increase revenue to be in a better position to afford the maintenance and upkeep of the water treatment plants. Morrison Hershfield provided GWI with drawings and tender documents, and GWI is currently tendering the recommended upgrades in the form of Design/Build packages for the water treatment plants and distribution system upgrades. Residents in the areas served by this project will soon receive clean, disinfected water, 24 hours a day that meets World Health Organization quality standards. With the improvements to the distribution systems, the non-revenue water losses will be minimized, improving the revenue income available to GWI. Construction could begin as early as this year. 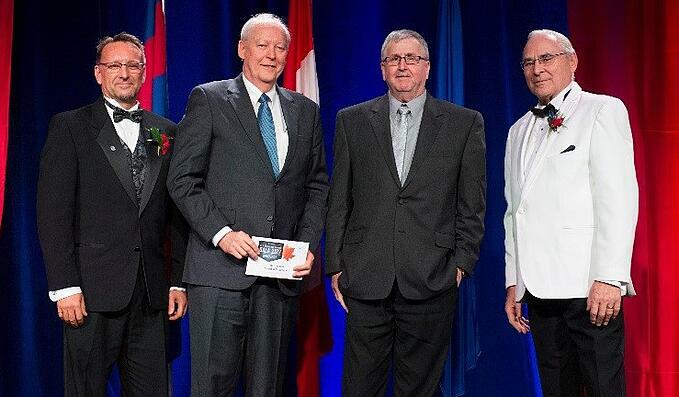 The award was presented by (left to right) CEA President Kelly Yuzdepski to Morrison Hershfield project manager Doug McRae and assistant project manager and lead designer Brian Fanson, along with CEA CEO Ken Philip. GWI provides water to over 145,000 homes, offices and schools across Guyana and supplies over 300,000,000 litres of water per day. It also provides water to Amerindian communities in the Hinterland. The Company aims to supply water facilities to 80% of the Hinterland settlements.